Also of The New York Times hardback, non-fiction bestseller list, numbers 1,3,4,5,7 are by conservatives. There are no liberal books in the top 15. 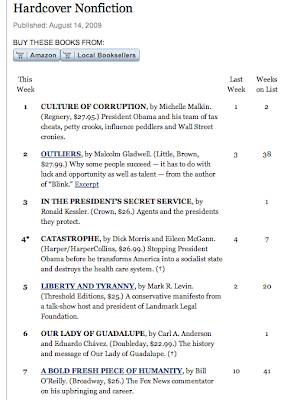 Glenn Beck is top of the paperback list.